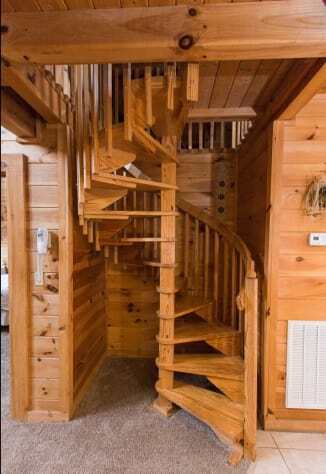 Thank you for viewing Relaxing Retreat situated PERFECTLY between Pigeon Forge and Gatlinburg. Relaxing Retreat is exactly what its name states. You will find yourself in a place that allows you to find serenity and relaxation but still have all the amenities of being at home. 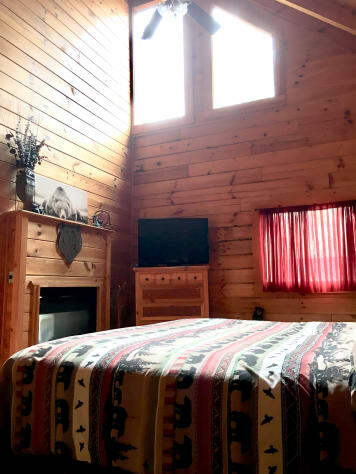 This cabin is perfect for couples looking to get away for a romantic vacation but quaint enough for a small family-setting as well. 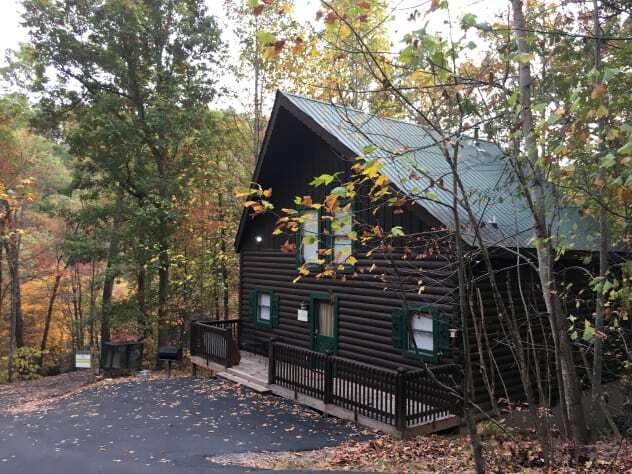 Your relaxing retreat starts as soon as you turn off the Parkway and travel to the top of the mountain on a fully-paved road. The road does wind upwards, but is easy to manage. Parking is tight but can hold 2 cars. 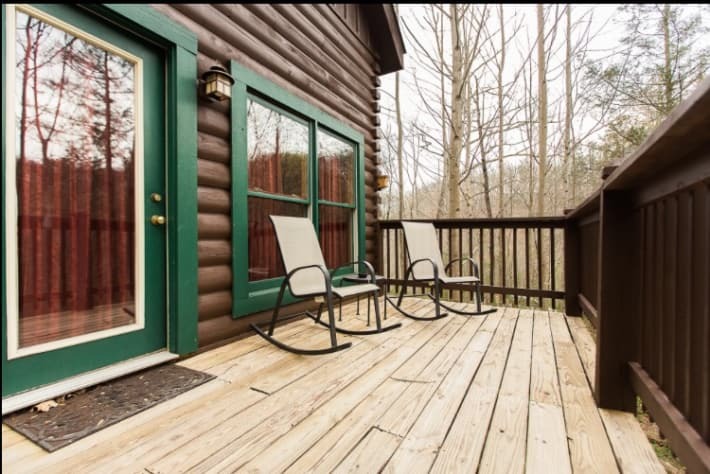 Relaxing Retreat is perfectly located in a private area but so close to all-things going on either in Pigeon Forge or Gatlinburg. 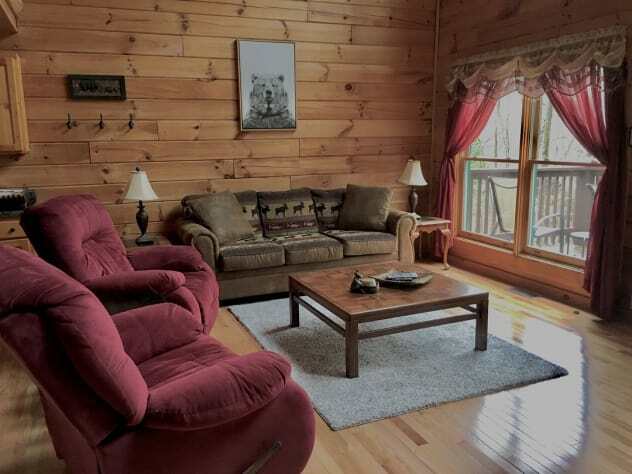 You are less than 10 minutes to either location (6 miles to Gatlinburg or 4 miles to Pigeon Forge). 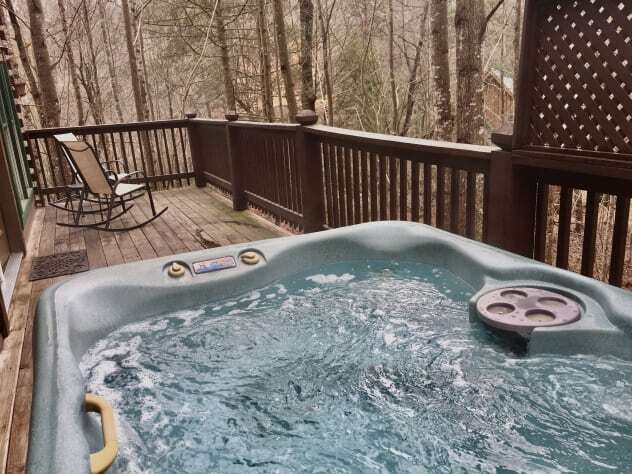 You can get out on the town and enjoy everything there is to offer but come back to the cabin and feel like you are away from it all and relax in the hot tub on the back deck or in the Jacuzzi tub in front of the double-sided fireplace (seasonally operated). 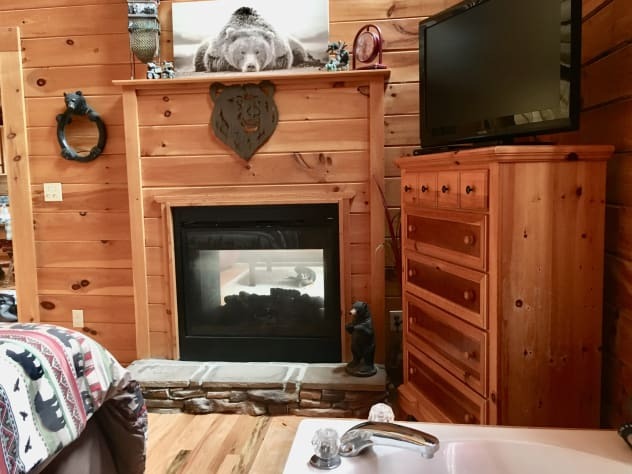 The master bedroom comes with a very comfortable king-sized bed, Jacuzzi tub, full bathroom with combo tub/shower, flat screen tv, and gas fireplace that sees through to the living room. PLEASE NOTE: The bathroom is only accessible through the master bedroom. 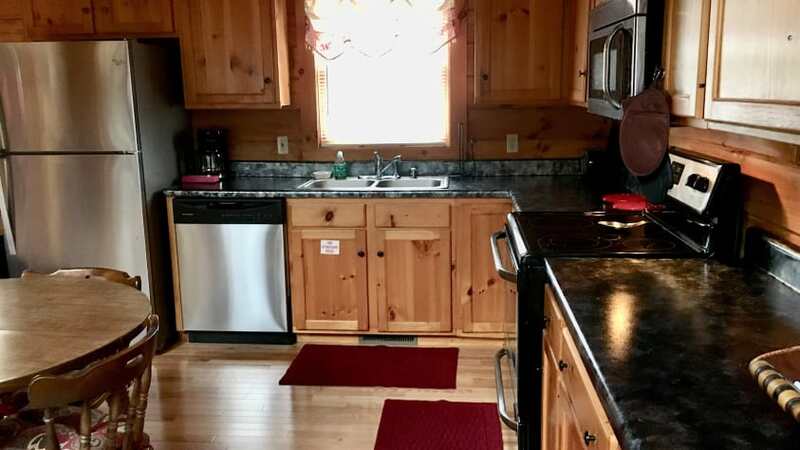 Kitchen comes fully equipped with all cooking utensils needed to make your favorite meals; you just provide your own food. Living room has 2 recliners and a pull out sleeper/sofa. 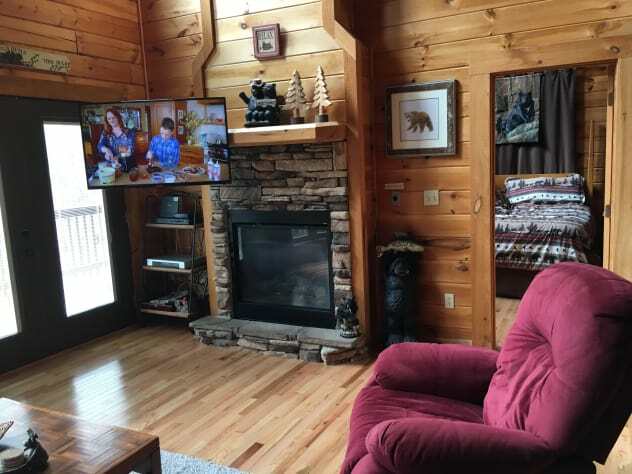 There is a flat screen tv and gas fireplace. 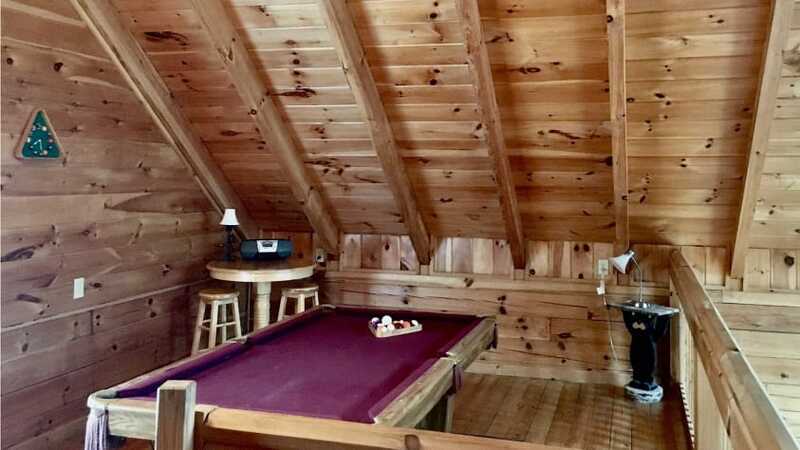 The upstairs loft functions as a game room with a pool table, futon and tv. 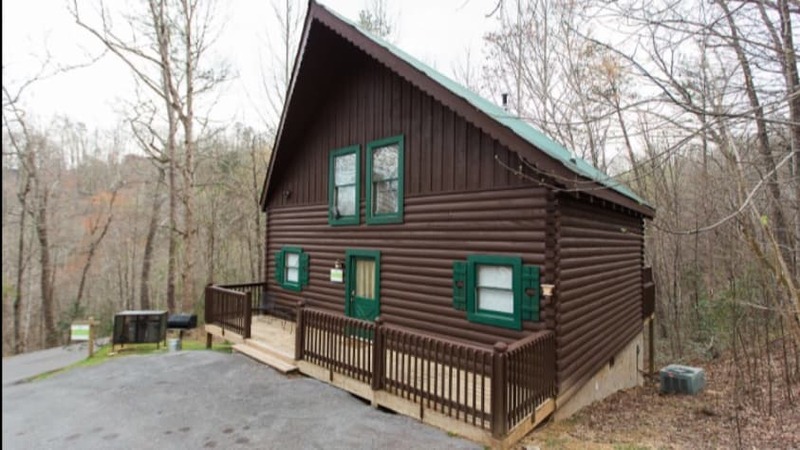 The cabin is in the perfect location to Pigeon Forge and Gatlinburg. The cabin was clean and a wonderful place to stay. We loved it! Great cabin we loved it! Great cabin we really enjoyed it!! We will be back! Best time ever. Can't wait to come back. Home away from home. My family and I enjoyed this cabin so much. So much to the point we did not want to leave. We even had a snow day! We loved Pigeon Forge and especially Gatlinburg. 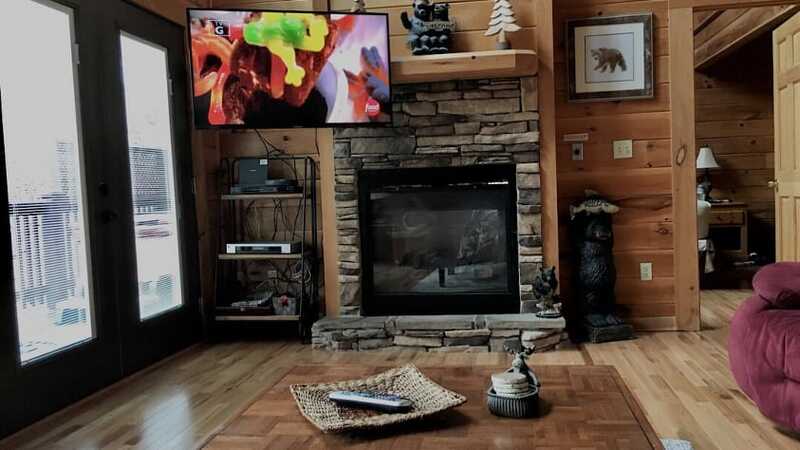 This cabin was the relaxing retreat we needed. Thanks so much for sharing. We will be back and I've recommended this cabin to our friends and family. Cozy Cabin in the Woods! 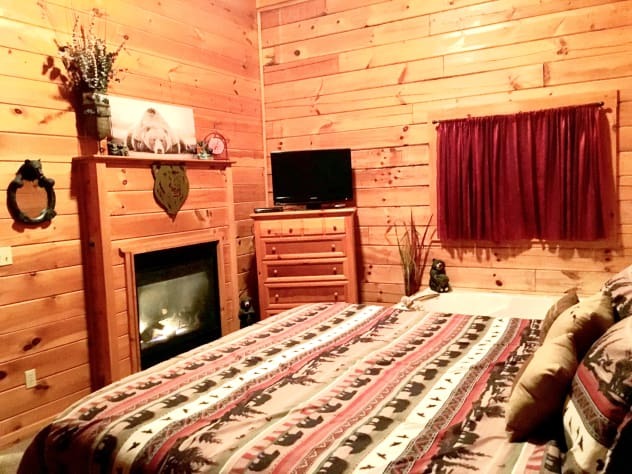 We had a gret stay at this cozy cabin. The place was clean and comfortable. We found all the items we would have needed for a relaxing week with nature. My family enjoyed our stay. It was great grilling in the Smokey’s and hangin our in the hot tub on Christmas Day. The cabin was super cute on the inside and very clean. Had everything we needed and more in the kitchen. The critters woke us up at night but were glad they were outside and not in! Highly recomended. Thank you! 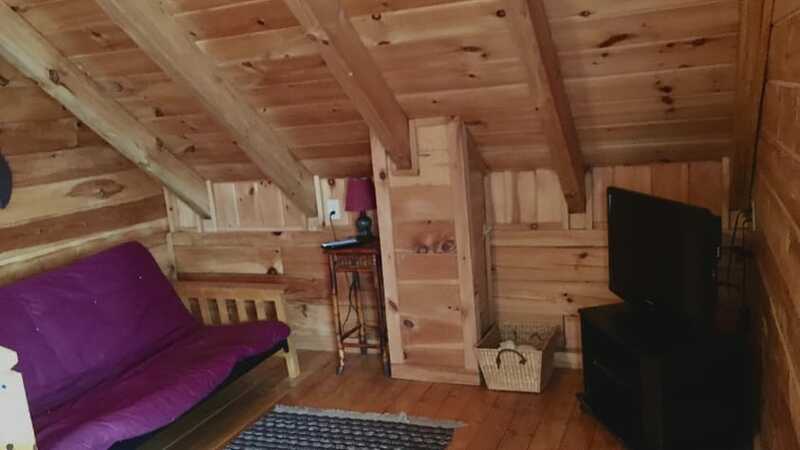 Beautiful cabin with wooded views, and I loved the moon shining in through the upper windows. 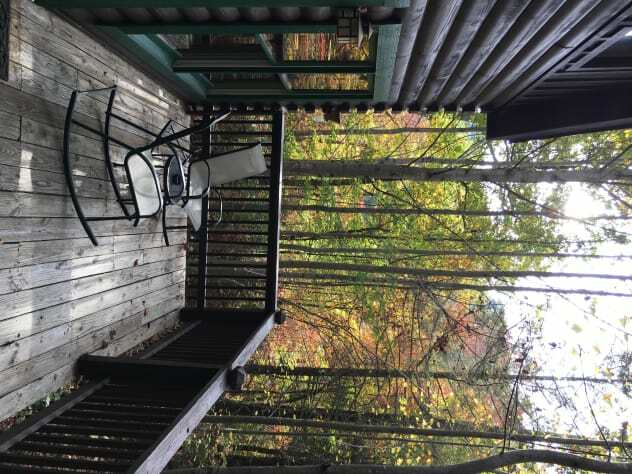 This was a perfect place for us... gorgeous wooded view close to Pigeon Forge and Gatlinburg when you wanted to be in the action, but secluded when you wanted private time. 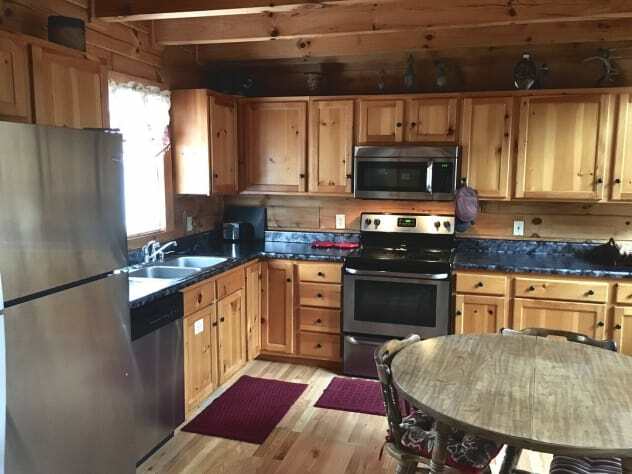 The cabin was very clean and had everything we needed! 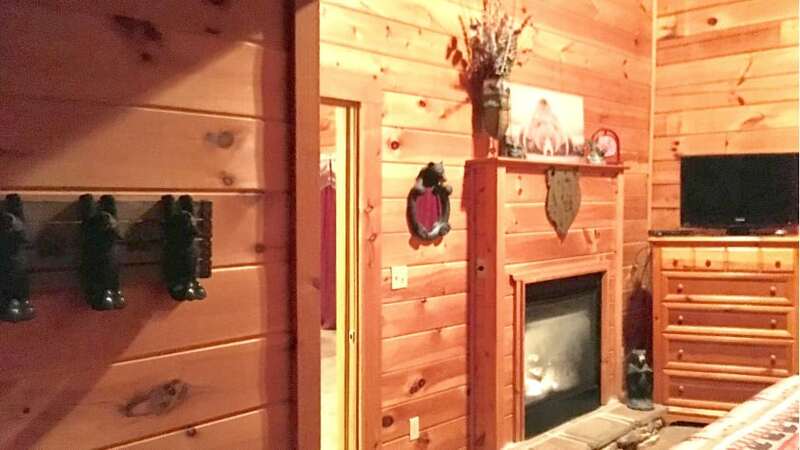 We loved our stay in this cozy cabin. It was a relaxing getaway for my husband and I and we enjoyed every minute. We will definitely be staying here again in the future!!! 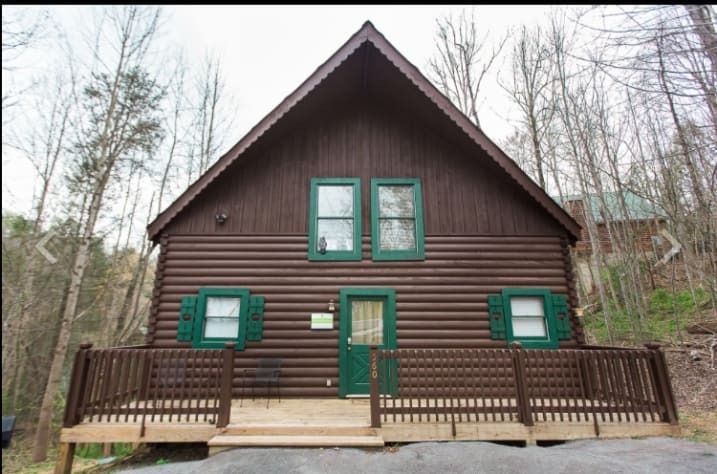 The cabin was perfect, and so close to both Pigeon Forge and Gatlinburg. We had a great time. We loved the cabin. 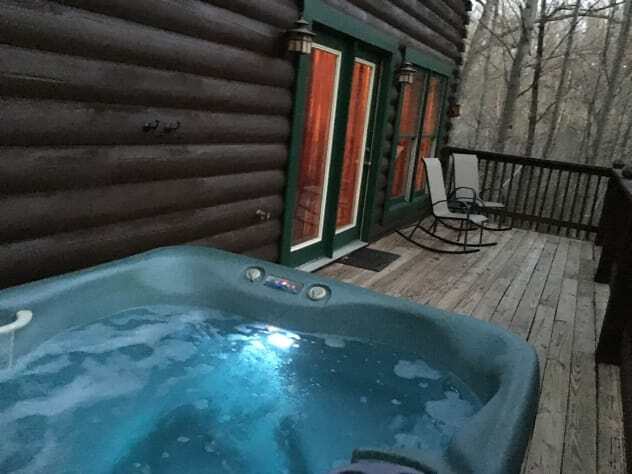 The hot tub was a wonderful treat as well. 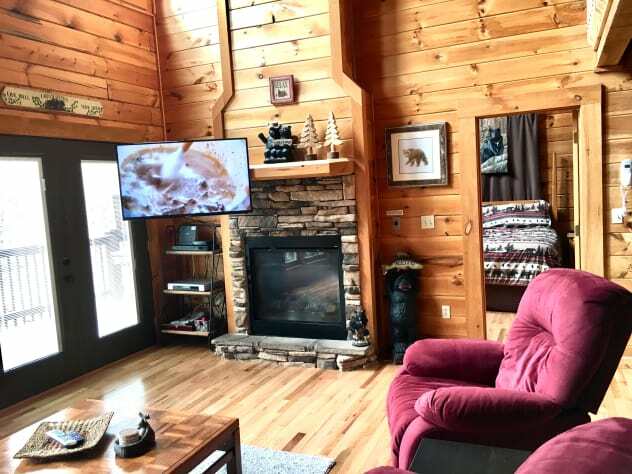 The location is perfect - a quick drive to either Gatlinburg or Pigeon Forge. 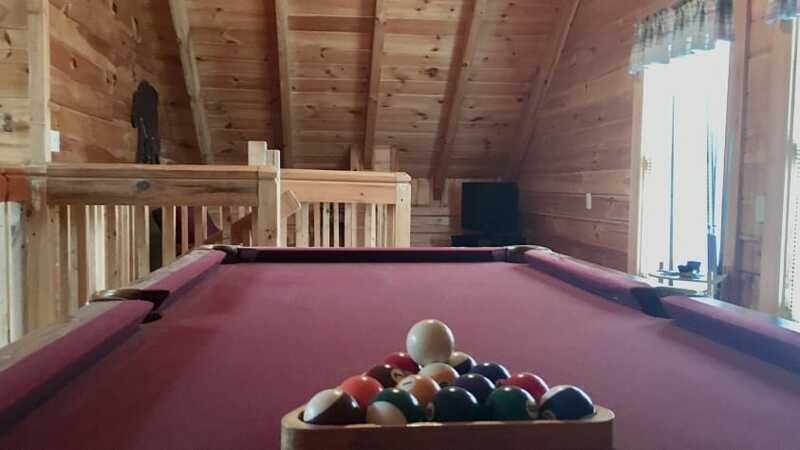 We had a great time playing pool in the loft as well. The kids were so excited when we got there, and almost tearful as we drove away. I will definitely share this property with my friends. 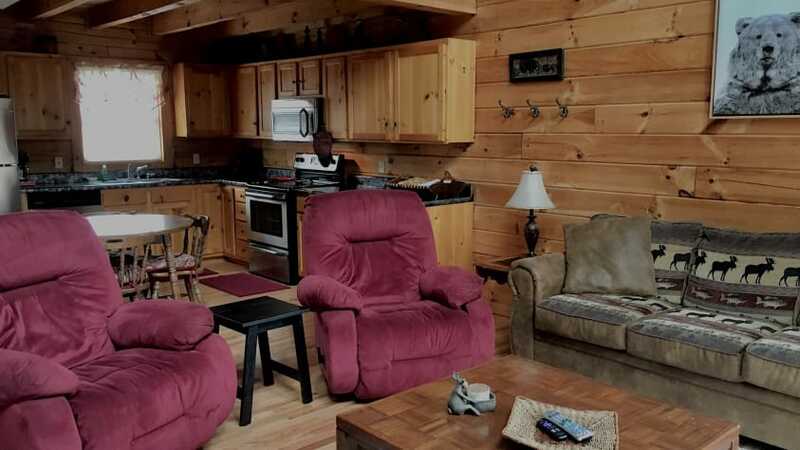 The cabin is absolutely beautiful. It's very clean and cozy! The hot tub and pool table were so fun when we had some down time. Wifi was fast, tv and phone service was good. The bed was very comfortable it was hard to get up in the morning! Randy and Misty leave you with everything you would need to be comfortable! 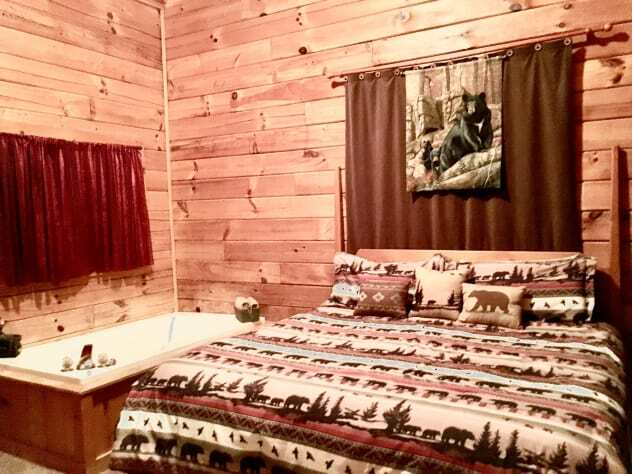 There was no mountain view but I don't think that is a good enough reason to not get this cabin. It's nestled in the forrest and the views are still nice! 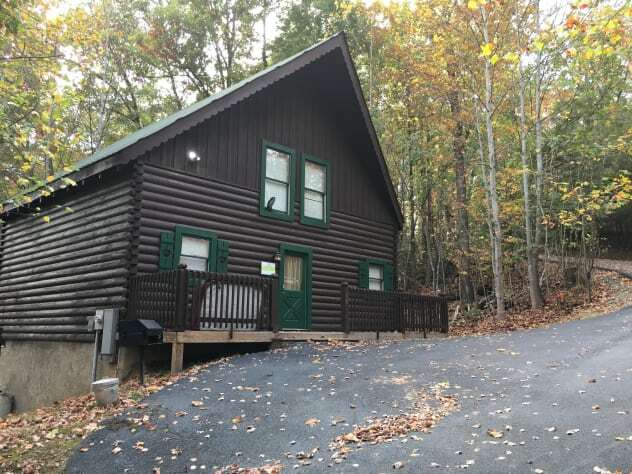 The cabin is located right between Gatlinburg and Pidgeon Forge with maybe a 10 minute drive to each. We had an amazing time and we will definitely be back! Thank you again Randy and Misty!